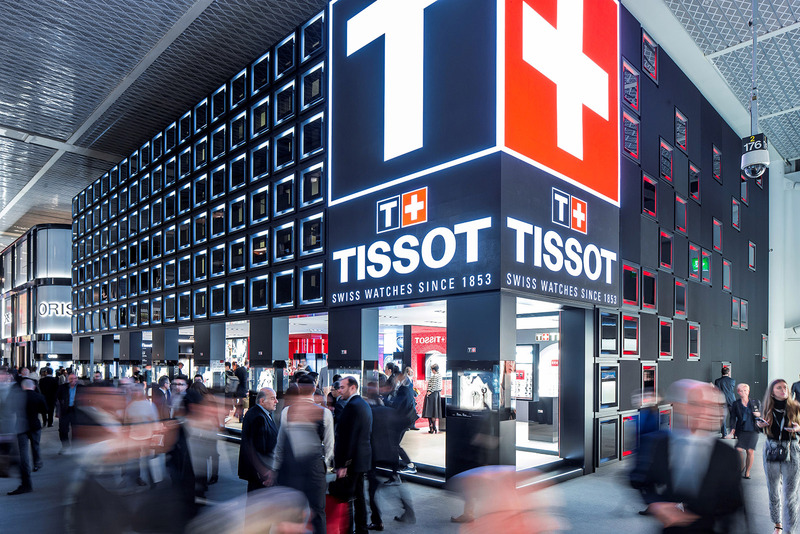 Global export of Swiss watches continued to pick up steam in 2018 according to data released by the trade body Federation of the Swiss Watch Industry (FH). 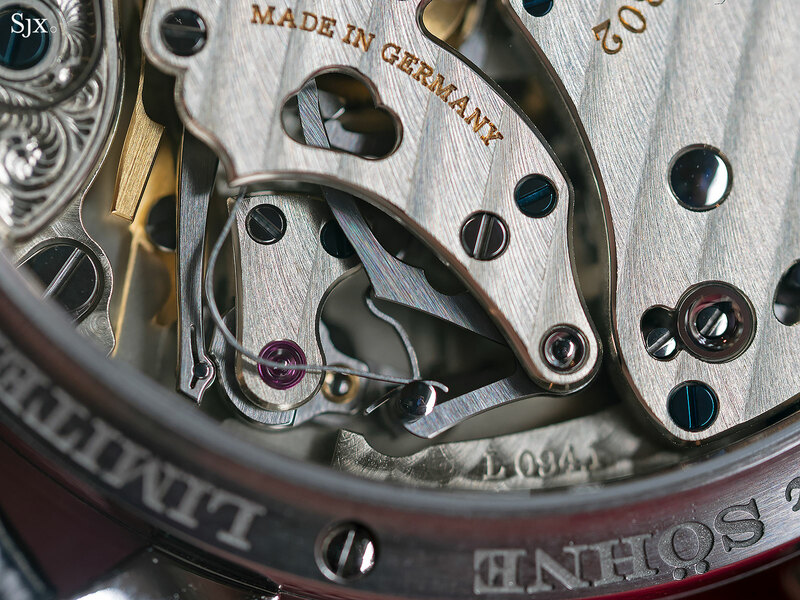 The total value of Swiss watch exports, which account for the majority of luxury watches sold worldwide, climbed 12.9% year-on-year in February to SFr1.7 billion. This growth was reported across all price segments, driven particularly by watches with an export value of between SFr500 and SFr3,000, which saw their value grow 19.3%. Watches above SFr3000 increased by 13% in value while watches under SFr200 rose 8% after more than a year of decline. Retail prices in shop are approximately double or triple export value, which means mid- to high-end watches are doing best. The breakdown by metals also confirms that: watches with precious metal cases increased by 12.6% and steel by 9.6%, while other alternative metals grew by 10.2%. The most pronounced growth was in Hong Kong, with the world’s largest watch market seeing Swiss imports rise 35.7%. The same was true in the United States, which was up 26.3%. Both posted their strongest monthly growth in six years. Notably, exports to China continued their steep climb, rising 21.7%, after a 44.3% surge in January due to holiday spending during the Chinese New Year. The recovery in Chinese demand for luxury watches – which drives demand all around the world thanks to tourism – appears unstoppable now. 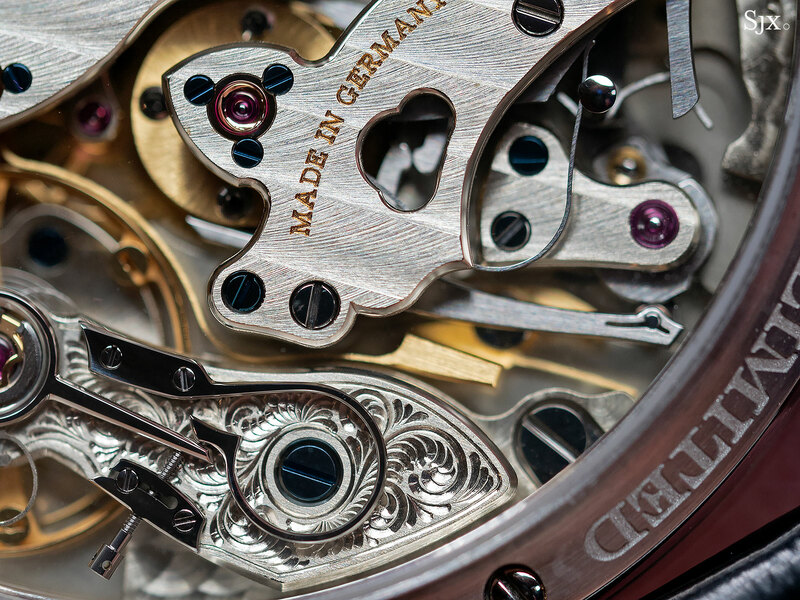 The good news for the start of 2018 follows recovery that started in 2017, when Swiss watch exports started to rise after a two-year slump. Exports rose 2.7% in 2017 year on year, with the second half being especially good, translating into upbeat results from publicly listed watchmakers like the Swatch Group. With Baselworld now firmly in the rearview mirror, the mood in the watch industry continues to be upbeat. The view amongst executives was fairly unanimous, not only is demand recovering but watch retailers are also starting to increase their orders once again. Trade war fears notwithstanding, the momentum is likely to persist through the year. Watch exports from the Alpine nation fell almost 10% compared with a year before. With an open dial to show off the mechanics. The S1 is the most elaborate watch to date from Garrick, an English watch brand located in Norfolk, about two hours north of London. Powered by a hand-wound movement conceived with the help of Swiss independent watchmaker Andreas Strehler, who is best known for building the H. Moser & Cie.’s perpetual calendar, the S1 has an open dial, revealing the calibre front and back. On the front, the wheels, regulator and keyless works are visible. 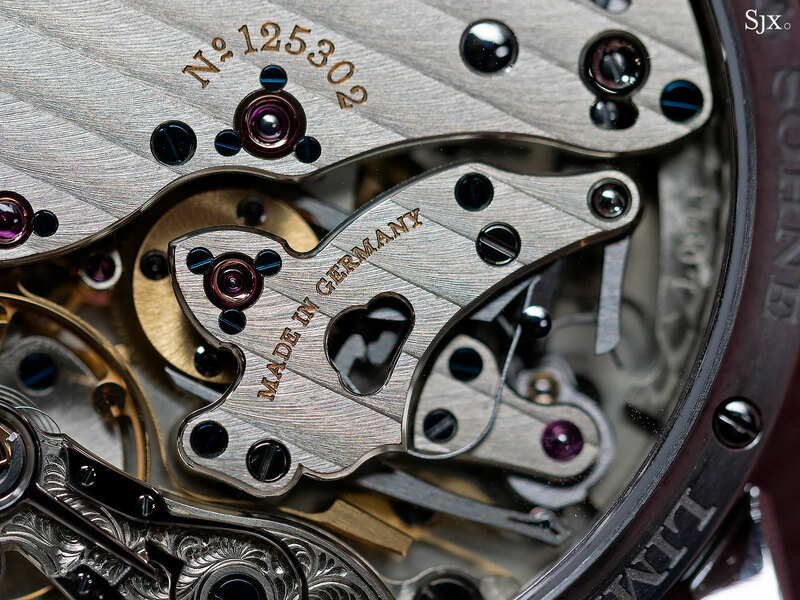 The under-dial mechanics have been dressed up for exhibition, including having three jewels in screwed chatons, a flourish typically reserved only for the back. Time is indicated via the central hands, with the seconds on a sub-dial at 10 o’clock and the power reserve display at two. More prominent is the extra-large, free-sprung, adjustable mass balance wheel, albeit with a flat hairspring. The balance is unusual not just for its size, but also the material used, Sircumet. 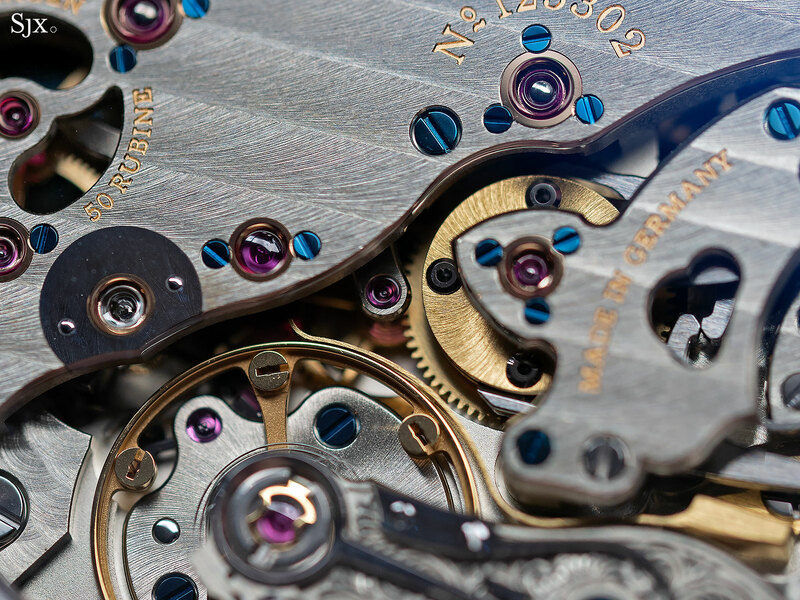 Used for the first time in a watch movement, the copper-based alloy boasts several useful properties, including being resistant to distortion even at high temperatures. It is also “stainless”, able to retain a bright surface finish without galvanic plating. While simpler, the back still shows a high degree of attention, including the unusually shaped click spring and several jewels in chatons. 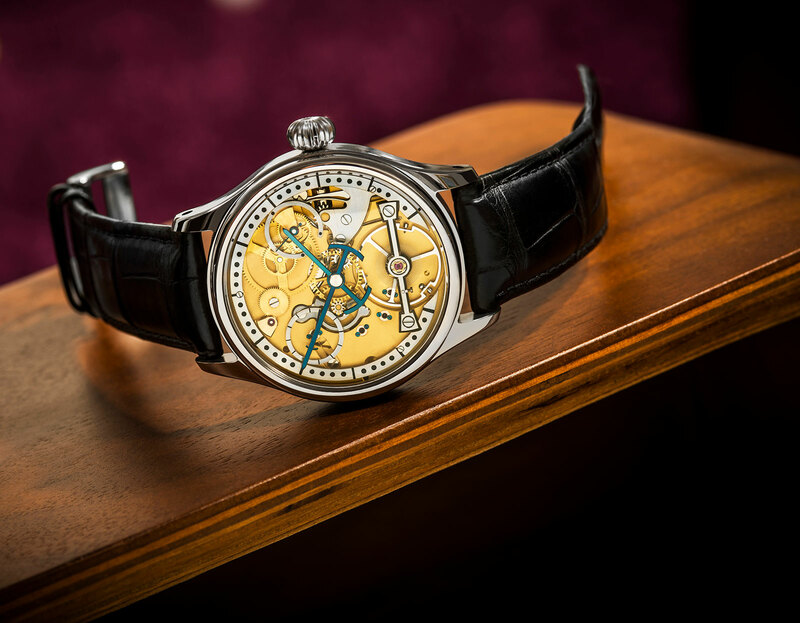 While the case is made by Garrick, the movement is a joint effort, with components made both in Switzerland by Mr Strehler’s company UhrTeil, as well as in Garrick’s workshop. Assembly and most of the finishing is done by Garrick. According to Garrick, the decoration is hand applied, with grained or frosted surfaces, polished bevels and chamfered spokes on the wheels. 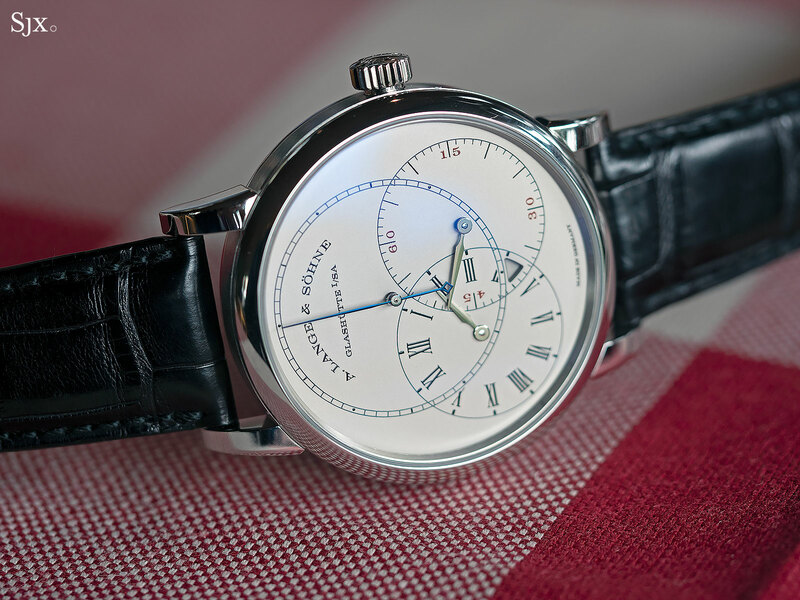 The steel case is 42mm in diameter and 10mm high. 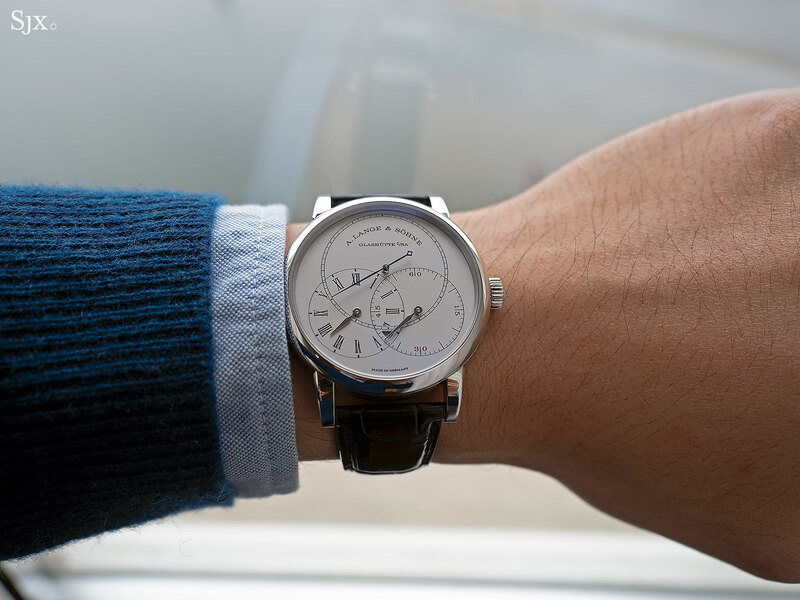 The S1 is limited to 10 watches, priced at £23,329 before taxes. That is equivalent to US$33,200. It’s available direct from Garrick. Update April 13, 2018: Included the use of Sircumet for the balance wheel. Bang for the buck "beaters". One trend that has arguably superseded all others in watchmaking has been the race to offer the best possible value for money, a result of the reality check imposed on watchmakers by the recent slowdown in business (which seems to have already faded away like a “ghost” bezel”). The financial adversity became an advantage for consumers as brands began working the limits of more sensible price brackets. 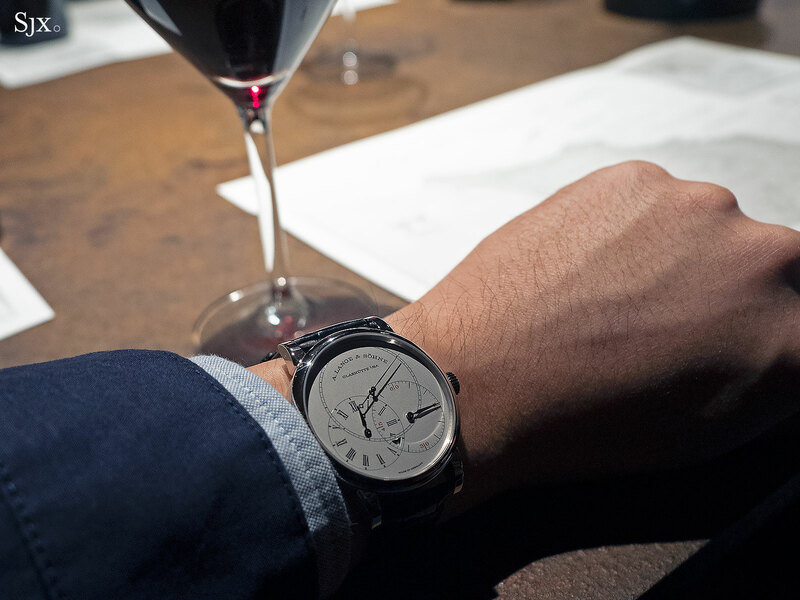 The result is almost a unique breed of watches that caters as much to the entry-level, casually interested consumer as to the heavy-hitting connoisseur. As Baselworld 2018 played out against a backdrop of positive news on global watch sales, the sub-US$5000 category still emerged stronger than ever. 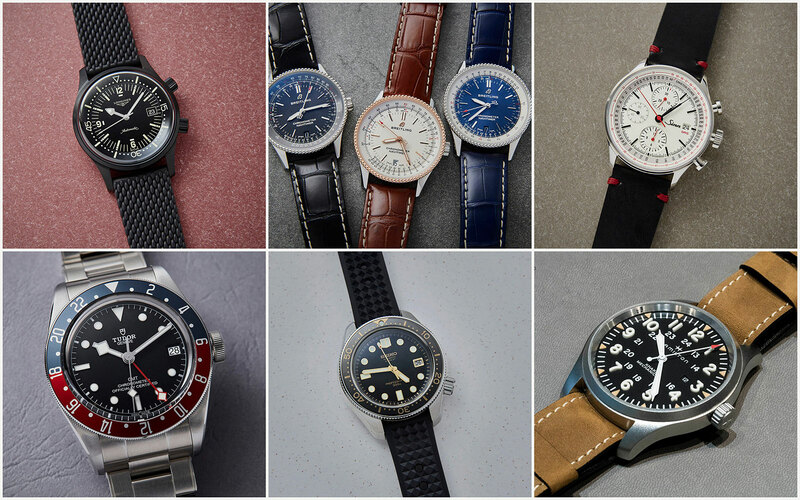 Here are the watches that punched way above their weight in content and quality versus price. One of the indisputable stars here is the Tudor Black Bay GMT, priced at a piddling SFr3700 on a steel bracelet, or about US$3800. 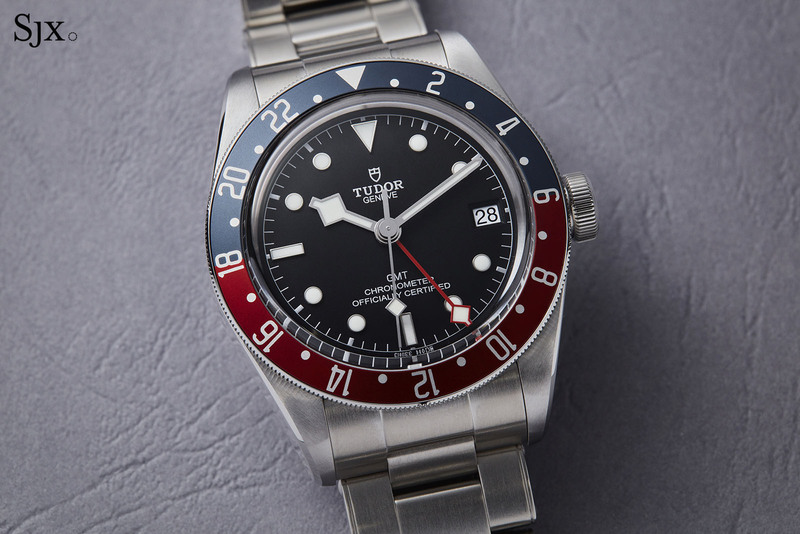 Over the last decade Tudor has striven to distinguish itself from its big brother, hence the sharp intake of breath when both Rolex and Tudor launched their respective “Pepsi” GMT watches simultaneously – a brazen move that at once highlighted the price differential, which can be flattering or unflattering depending on one’s level of cynicism. 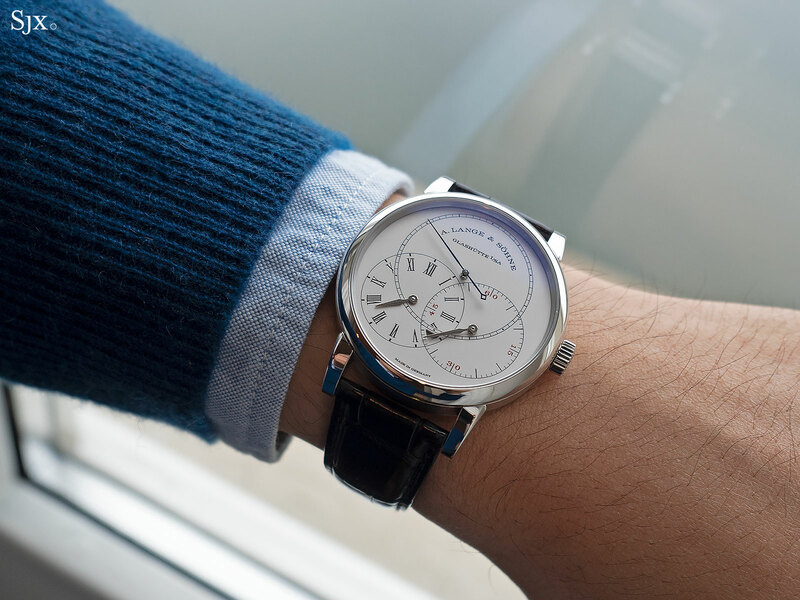 But the price comparison also ultimately demonstrates the extent to which both watches appeal on their own merits. Perhaps the key thing to keep in mind is that Tudor’s dual time zone is a Black Bay through and through, and not a separate model line (as with how the Submariner is distinguished from the GMT-Master). From the red “snowflake” GMT hand to the bi-directional, 24-hour “Pepsi” bezel – derived from the colours of the Black Bay Blue and Black Bay Burgundy – it is recognisably a Black Bay. Moreover, the watch is equipped with Tudor’s newly developed in-house movement, the MT5652. It’s a full bridge construction movement with a fully integrated GMT mechanism, which means the second time zone is part of the main plate and not an add-on module. 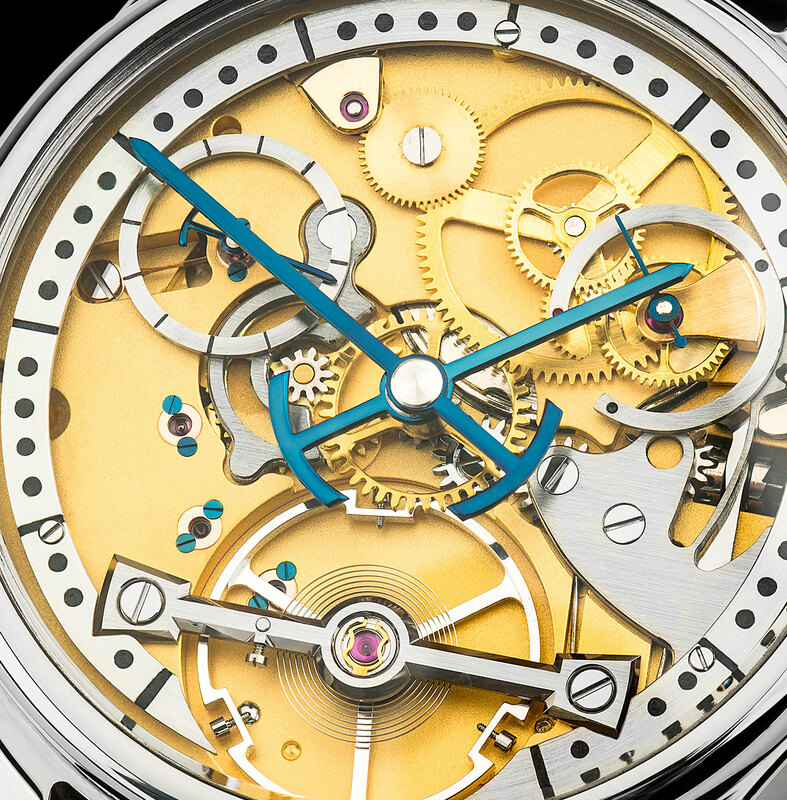 The MT5652 boasts all the specs that make the watch true value for money: COSC-certification, a variable inertia balance wheel as well as a silicon hairspring. 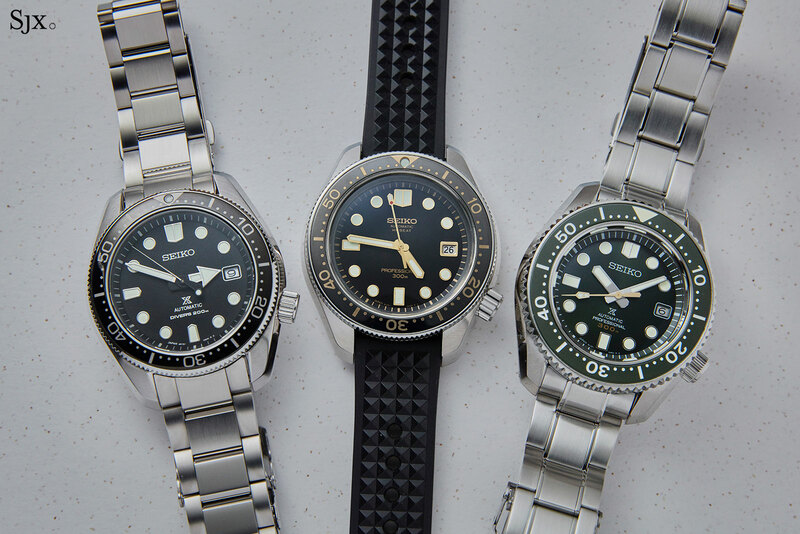 A year ago, Seiko launched the Prospex Diver SLA017, a faithful reissue of its first professional dive watch, the “62MAS”, while simultaneously unveiling two modern reinterpretations of the same, the Prospex Diver SPB051 and SPB053. This year’s dive watch offering follows the same formula with a reissue of the Hi-Beat Diver 300m (ref. 6159-7001) from 1968, as the Prospex Diver Hi-Beat SLA025. 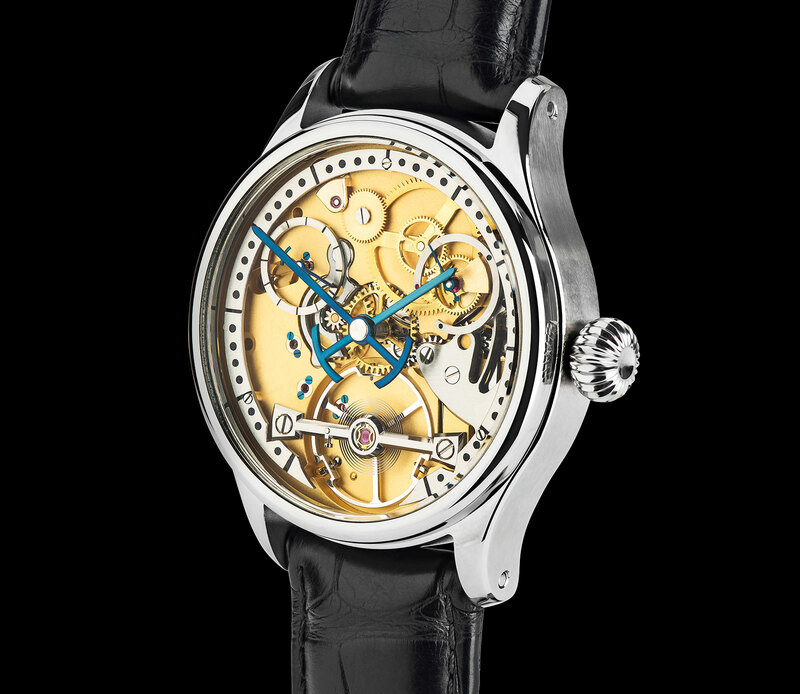 The occasion is the 50th anniversary of the 1968 watch, which was launched three years after the 62MAS. The ref. 6159-7001 was a major technical step forward for Seiko, boasting double the water-resistance as well as improved precision and legibility. It was characterised by its monobloc case construction and 5Hz movement, becoming the first “hi-beat” diver’s watch on the market at the time. Limited to 1500 pieces, the modern day Prospex Diver Hi-Beat SLA025 features the same specs as the original, including a monobloc stainless steel case and a movement that runs at 36,000 beats per hour. The cal. 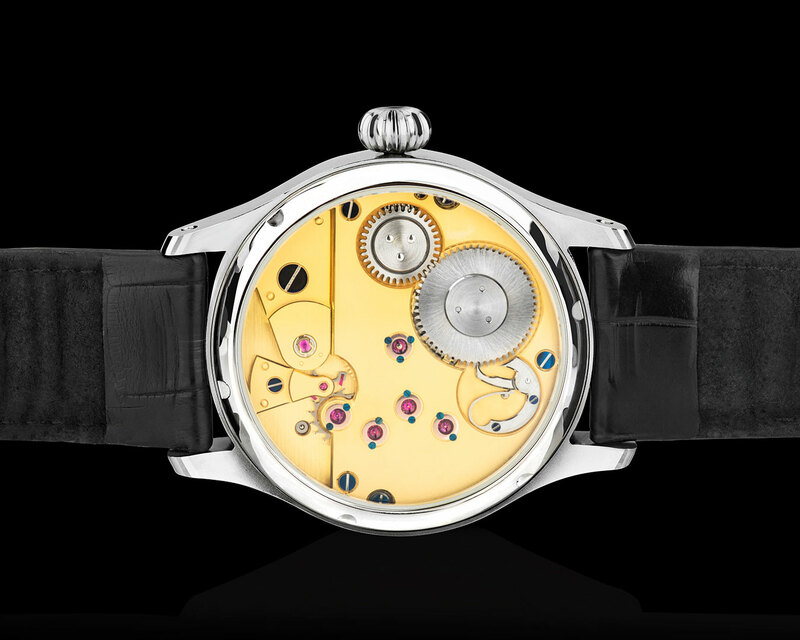 8L55 inside is functionally identical to the Grand Seiko 9S85 movement, but without the superlative finishing and fine regulation. 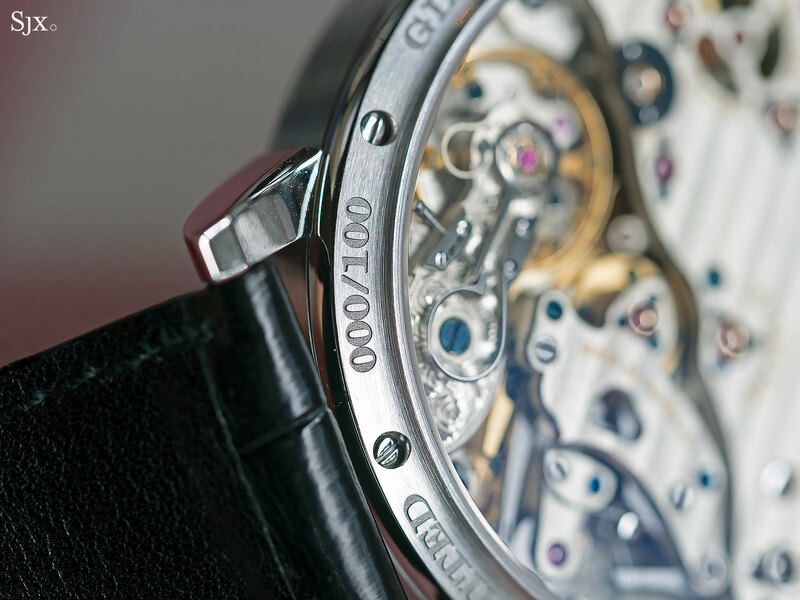 The 44.8mm case, however, features Zaratsu polishing, which is a technique typically reserved for Grand Seiko and Credor watches, prized for the flat, distortion-free surface it creates. At US$5400, the Prospex Diver Hi-Beat SLA025 runs a touch north of the titular budget, but Seiko has also launched two entirely affordable versions that are part of the regular collection – the Prospex Diver 200m SPB077 and SPB079. Aesthetics-wise, they are compelling modern remakes of the original, with the main concession in pursuit of affordability being the lack of a high beat movement, instead being powered by the cal. 6R15. Just one-fifth the price of the high beat diver, they measure a tad smaller at 44mm, and are water resistant to 200m, still more than necessary for recreational adventures. One of the most outstanding models in this price segment that flew under the radar – despite being utterly enormous – was the Hamilton Khaki Field Mechanical 50. 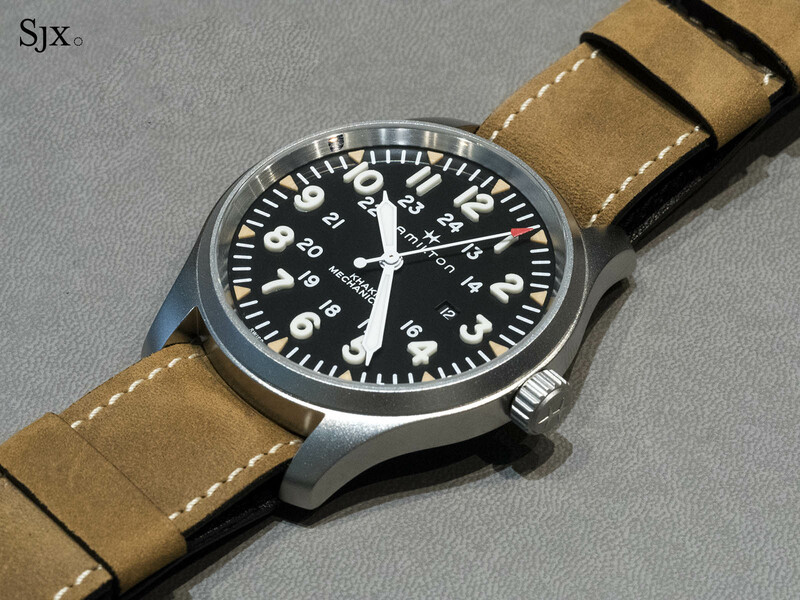 It’s a supersized 50mm remake of the vintage FAPD 5101, also known as the Type 1 Navigator, which Hamilton made for the U.S. Air Force in 1969, referred to as a “hack” watch for its then-novel stop seconds feature. The Hamilton Khaki 50 sticks closely to the styling of the vintage original with simple 12- and 24-hour scales on the dial as well as faux patina accented triangles for the hour markers. The most distinctive feature, however, are its large Arabic numerals, which are made of pure moulded Super-LumiNova and measure a full millimetre in height, making them essentially Super-LumiNova numbers in relief. Their size means they glow twice as long as standard lume-filled indices. Notably, the watch doesn’t just double up in size and luminosity. 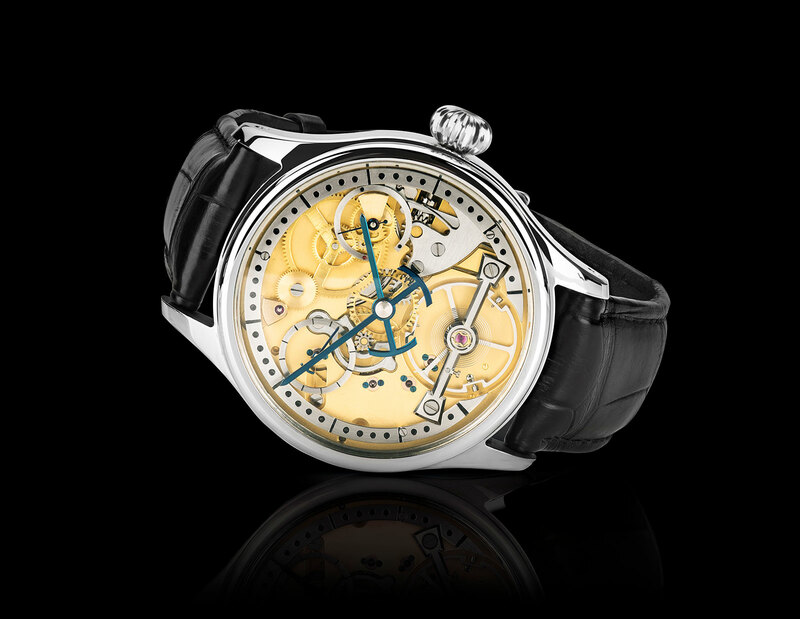 It’s powered by an upgraded, hand-wound ETA 2804 that has an 80-hour power reserve – double that of the stock version. The Hamilton Khaki 50 is available in three iterations: a brushed stainless steel case with a black dial, a grey-green, bead-blasted case with a matching dial, as well as a all-black version with a black-coated case. The stainless steel versions are priced at US$1245 while the black-coated model is US$1445. A remake of the 1960s ref. 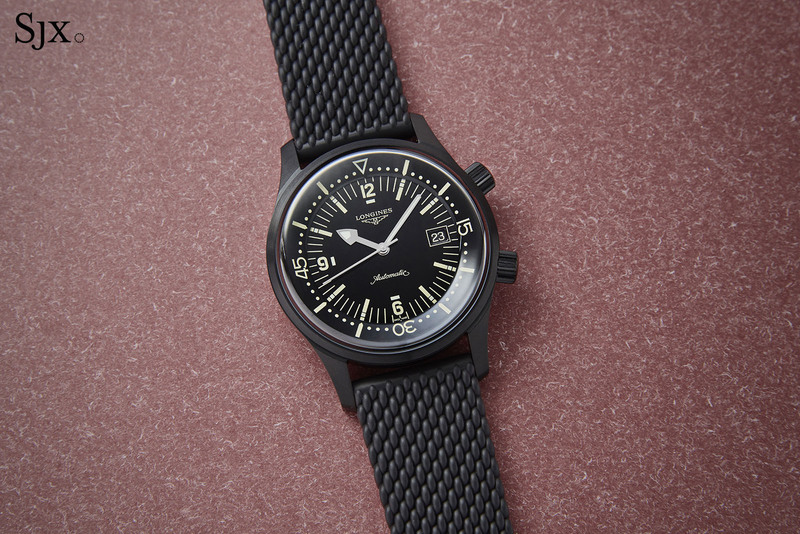 7042 and a modern day bestseller, the Longines Legend Diver is now available in an all-black version. Rated to the same 300m, the all-black model has the same dimensions, 42mm in diameter, with the same “Super-Compressor” style case that features an internal rotating dive bezel. And yes, the date window at three o’clock is still there. But this time, the stainless steel case is PVD coated with a matte black finish, and it’s fitted to a rubber strap that mimics the look of the “Milanese” mesh bracelet found on the stainless steel model, proving that function need not preclude aesthetics. The strap is fitted with a spring-loaded, black-coated titanium clasp that extends to accommodate a wet-suit sleeve. The crux of the new watch, however, is the new and improved movement. Previously powered by the cal. L633, which is basic ETA 2824/2, the black Legend Diver gets an upgrade to the cal. L888.2, a modified ETA 2892.2. It’s the same movement found in last year’s Heritage Railroad remake, with its biggest upgrade being the 64-hour power reserve (versus just 38 hours in the ETA 2824 found in the original Legend Diver). All that for just US$2700. Following the launch of the Navitimer 8 earlier in the year, Breiting took to Baselworld to introduce the new Navitimer 1 Automatic 38. 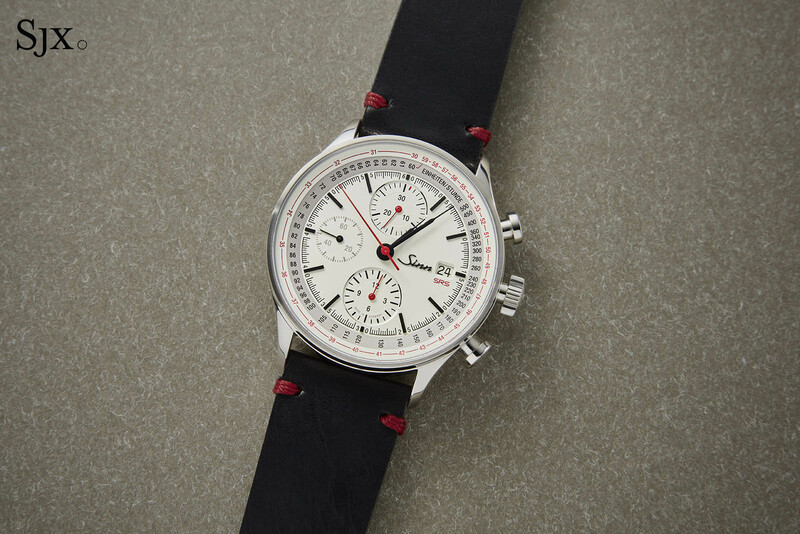 The watch incorporates the hallmark “beads of rice” slide rule bezel (a feature taken from the first Navitimer chronograph) in a 38mm watch case – arguably the most commercially palatable size, one that is large enough for men, yet small enough for women who have been bitten by the oversized watch bug. Somewhat provocatively, the chronograph is omitted in this watch, but as with the sans-slide rule Navitimer 8, this fills the glaring gap of a basic pilot’s watch in the Breitling catalogue. 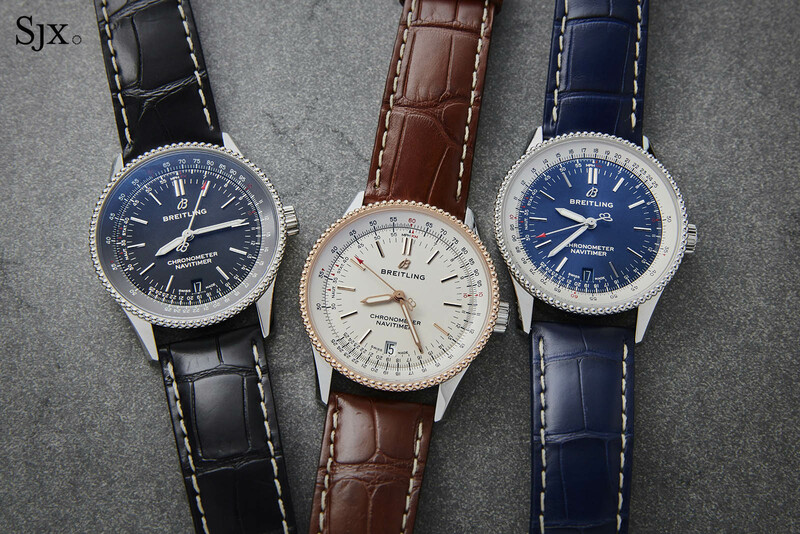 The Navitimer 1 Automatic 38 has a ratcheted, bi-rotational bezel and is powered by a COSC-certified ETA 2824. It is available in three iterations, including a two-tone steel and gold, with the steel version models priced at US$4310. The 910 SRS Chronograph shares similar stylistic codes as the 910 Anniversary Schleppzeiger that was released two years ago. But while the latter was a rattrapante, the 910 SRS is more straightforward. It features a flyback function, which is perhaps more useful than a flashier splits-seconds as it allows the user to instantly reset and restart the stopwatch with a single push of the lower button. 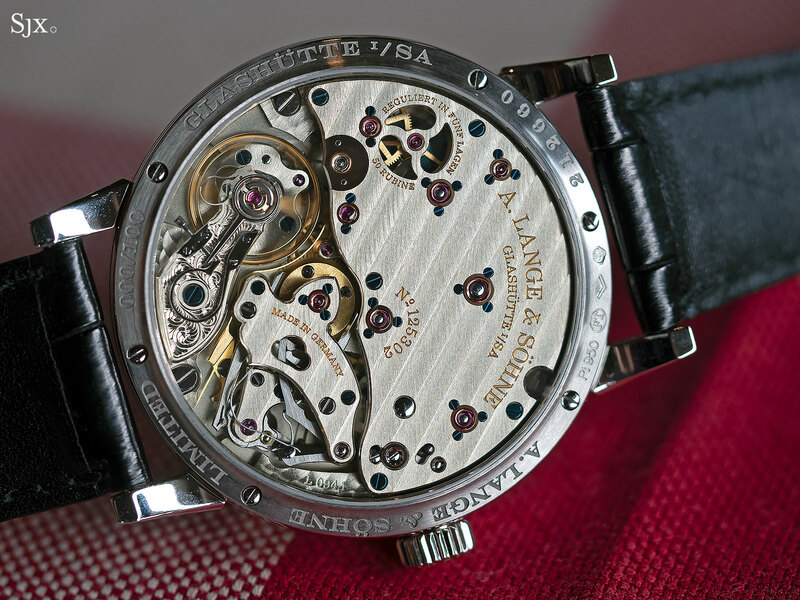 The movement is a Valjoux 7750-based calibre made by La Joux-Perret that has been upgraded to have a column wheel, as well as decorated with perlage, Geneva stripes and blued screws. Cosmetically, the watch is a near-perfect marriage of retro design cues with modern dimensions and build. Measuring 41.5mm in diameter and 15.5mm in height, it features pump pushers while its dial is cream-coloured, matched with syringe hands and a double tachymeter scale that measures anything from 500km/h to 30km/h. The Sinn 910 SRS is priced at just US$3960 on a leather strap and US$4260 on a steel bracelet.